I have MS but it doesn't have me. I had to move my Saturday run, which was scheduled for a 15 miler to Sunday. I still wore the bib for the Run for Sherry, even though I was a day late. I had to run up to New Hampshire on Saturday to get my haircut. One of my best friends is my hairdresser. I wouldn't make an hour and a half drive to get my haircut if my hair dresser wasn't one of the best friends a girl could have. I got about 5 inches of hair cut off. I haven't had it this short in over 10 years. 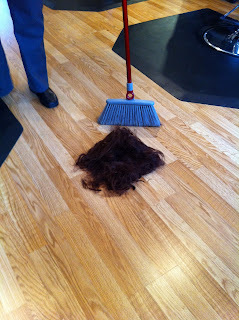 Here is a pile of my hair. Sunday I got up at 6:30am. I set an alarm for my day off. I wanted to get my 15 mile run it before I had to head out to spend the day shopping with my mom. I got up and ate my usual breakfast before a run. I had whole wheat English muffin with two tablespoons of peanut butter. I also had a cup and a half of coffee. I did my business and then I was out the door to get the run out of the way. By mile three I knew this 15 miler was not to be. I was tired. Not just uh, I don't want to be doing this I am a little tired. I mean exhausted. I got to about 4.5 miles and knew that I had to pack it in an turn around. I was slow too. My legs felt like lead and I could have just curled up and took a nap. Well, maybe not nap in public when it was 14 degrees out but you get the picture. It was so cold that my water bottle froze. So I turned around at mile 4.5 and headed back. I was very disappointed when I got home that my 15 mile run turned into a 9 mile run. How am I ever going to go 26.2 when I can't even get a 15 miler done. So week two of the marathon training was a big bust. Lets hope that next week is better. I should start keeping a food journal just to make sure that I am fueling right. I am not sure if it was MS fatigue, poor fueling or just the cold that made me feel so sluggish and my legs so heavy. Here's hoping that I do not have a repeat. 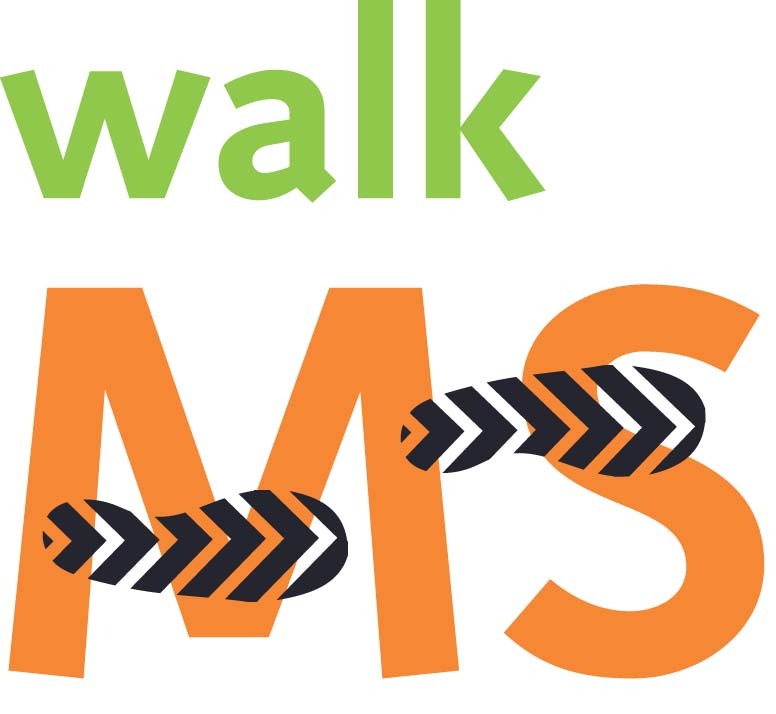 The 2012 Connecticut MS Walk is on April 22nd this year. I will be attending the Manchester CT event with my team, Team Lamb. Please consider donating to this cause. MS personally effects my life and millions of others. If you will be in the area on April 22nd I would love to have you on my team. Thanks, Missy. I should have been a farmer. On being an early bird.